"لَئنْ بسطتَ إليَّ يدَكَ لِتقتُلَني ما أنا بباسط يديَ إليكَ لأَقتُلَكَ إنِّي أخافُ اللهَ ربَّ العالمين." المائدة-28. “If thou dost stretch thy hand against me, to slay me, it is not for me to stretch my hand against thee to slay thee@ (From the story of the two sons of Adam, Able and Cain, in the Holy Qur'an: Chapter V: 28). The development of the Gulf Crisis and the Gulf War has pointed to several important facts that are not commonly discussed in the Middle East or the United States. First, it has demonstrated that the lack of checks and balances and the growing influence of war hawks on the President had compromised American democracy. Second, because of the overwhelming influence of pro-Israel experts on the war decision, the Gulf War can be considered the seventh Arab-Israeli war, fought by non-Israelis against an Arab enemy of Israel. Third, the war was a golden opportunity for the Western military industry and its beneficiaries to argue for a new Cold War, in which Muslim fundamentalists would replace defeated communists as the new enemies. Fourth, the Western intervention on the side of the Gulf absolute monarchies has led to strengthening them against Arab nationalists and unionists. The intervention did not lead to democratic breakthroughs in Kuwait and Saudi Arabia, the two direct beneficiaries, but it led to the increase in military spending in the region. Finally, when the Bush administration’s response to the Iraqi invasion of Kuwait is contrasted with its position towards the Israeli occupation of the Arab territories, a striking double-standard model in international relations emerges. These five issues, which are largely avoided by other authors, are investigated and discussed as the major consequences of the Gulf War. The war decision was adopted in the United States during the first week after the invasion. President Bush opted for war under the influence of the non-elected pro-Israel experts in his administration. This fact points to a serious loophole in the American democratic process that denies Congress participation in war decision-making. The Bush administration also lacked the assumed system of checks and balances. This was due to the absence of Arabists to counterbalance the influence of Pro-Israel experts in the administration. The process was anything but democratic. In their memoirs, Brent Scowcroft and his assistant Richard Haass mentioned that the war decision was actually decided during the second National Security Council (NSC) meeting, two days after the invasion. They expressed their disappointment for what happened during the first NSC meeting, in which the Council members were not interested in opposing the invasion. That is why Haass and Scowcroft decided to speak strongly against the invasion in the second meeting. When they did, they influenced the Council members and ultimately the President into opposing the invasion, particularly with help from the Deputy Secretary of State, Larry Eagleburger. Their job was not difficult because other Council members were more than willing to change their minds. After all, the war option would reinforce the interests of the ruling elite that they represent. In fact, the Gulf War boosted American militarism, which was expected to decline in importance at the end of the Cold War. Thus, opting for war reflected the continuation of the influence of the military establishment and the military industry on political decision-making. The military budget continued to claim huge amounts of money even without a threat of any enemies, denying the poor the services and the assistance they need and deserve. It is true that the direct annual military spending in the U.S. began to decline after the Cold and Gulf Wars. However, it remains the highest in the world (Table V.1). It was still about $276 billion, in 1997, $268.3 billion in 1998, $270.6 billion in 1999, $280.8 billion in 2000, and expected to be $305.4 billion in 2001. Other military outlays made total military spending more than half a trillion dollars a year. Outlays for the military and defense functions of the Department of Energy reached about $265.5 billion in 1999, $274.1 billion in 2000, and expected to be $277.5 billion in 2001. Finally, the budget authority for 2001-2005 is expected to exceed $1.6 trillion. Actually, the United States still spends more money on its military establishment than do all the other seven major industrial societies combined. In 1997, the total military spending in Canada, France, Germany, Italy, Japan, Russia, and the U.K., together, amounted to about $223 billion. Thus, the United States spent 1.2 times more on its military than did all these seven countries combined. This is despite the fact that these seven countries outnumber the United States by more than 2:1. While there were about 560 million people living in these countries in 1997, the U.S. population was about 268 millions in the same year. The huge military spending in the U.S. becomes clearer when it is compared with military spending in China. In 1997, the Chinese population reached about 1.23 billion people with military spending of about $75 billion. Thus, military spending that year cost every Chinese about $61. In contrast, the U.S. population reached about 268 million with military spending of about $276 billion. This means that military spending in the U.S. cost every American about $1,030, that is about seventeen times more than that of China although the U.S. population is about 4.5 times less than that of China (Table XI.1). Thus, there is no doubt that there is military over-spending in the United States, even a decade after the end of the Cold War. What is surprising is that it is not protested or criticized by the general public or by Congress despite the huge national debt problem that is mostly attributed to the excessive military spending. In fact, the five major wars that the United States fought throughout the 20th century, in addition to the Reagan’s escalation of the Cold War, were reflected in the five major hikes in the national debt. In 1900, there was a relatively small national debt of about $2.13 billion that slowly grew until it reached about $5.71 billion in 1917. Then, it jumped to about $14.59 billion in 1918, in response to World War I military spending. In 1942, the year America entered World War II, the national debt was $72.42 billion. But it jumped to about $136.69 billion in the following year and continued to increase until it reached about $269.42 billion, in 1946. While the third war, in Korea, did not lead to a large increase in the national debt, it kept it at a higher level than during World War II. In 1954, a year following the end of the Korean War, the national debt reached about $278.74 billion despite the post-war economic prosperity. The fourth war, in Vietnam, contributed to doubling the national debt. In 1975, the year the war ended, the national debt reached about $576.64 billion (Table XI.2). Despite these steady increases, the national debt was very little in comparison to the unbelievable increases during the Reagan, Bush, and Clinton administrations. By the end of the Carter administration, in 1980, the national debt reached $930.21 billion. However, by the end of the Reagan administration, in 1988, the national debt increased to about $2.602 trillion. The trend continued during the Bush administration so that in 1992, the year Bush left the White House, the national debt reached about $4.064 trillion. It is obvious that the 1980-1992 drastic Cold War arms race, during the Reagan and Bush administrations, was the prime factor that led to the outrageous increase of the national debt from less than $1 trillion at the end of the Carter’s administration to more than $4 trillion at the end of the Bush administration. The continuous high military spending during the Clinton administration caused the national debt to reach about $5.724 trillion by March 2000 (Table XI.2). Actually, the Clinton administration increased the national debt to even higher levels than those reached during the previous Republican administrations. While the debt was increased by 35.7 percent during the Reagan administration and by 64 percent during the Bush administration, it was increased by 70.9 percent during the Clinton administration. In addition to that, President Clinton competed with his Republican predecessors in surrounding himself with war hawks who favor more military spending, and consequently more national debt. He selected Al Gore as his Vice President, after his pro-war vote in the Senate. He even appointed a Republican Senator, William Cohen, as a Secretary of Defense as if there are no Democrats who can perform the functions of that position. Crippled by his successive scandals during his two terms in office, he conceded foreign policy to the pro-Israel “experts” in his administration. The highest ranking among these were Dennis Ross and Madeleine Albright in the State Department, Sandy Berger in the NSC, and William Cohen in the Department of Defense. Moreover, when Al Gore had his chance in 2000, he selected Joseph Lieberman, as his Vice President. Like Gore, Lieberman was one of the few Democrats in the Senate who broke the Party line and supported the Bush administration by voting for war. Thus, as predicted by President Eisenhower (Chapter V), the expanding influence of the military establishment has dominated political decision-making and ultimately compromised democracy. This has been facilitated by the powers given to the president. During the Gulf crisis, the President demonstrated his ability to make the war decision without first consulting with Congress. All what the Congress did was giving him support, but he could go to war without Congressional approval anyway. This means that unnecessary wars, like the 1991 Gulf War, can be prevented in the future only if the War Power Act is revised. This should reduce the powers of the president so that Congressional approval becomes necessary before a president can send troops into hostilities. In absence of such revision, the status quo will continue and the U.S. will be involved in more and more wars. The evidence has demonstrated that once troops are sent to war, Congress had no choice but to support them. As far as democracy is concerned, Congress should have the ultimate authority in launching wars. That serious matter should not be left to presidents alone because they usually delegate decision-making to non-elected bureaucrats in their administrations. These are mainly war hawks, who look for excuses to keep the military spending as high as possible. Therefore, they counsel war instead of peaceful solutions for conflicts. This was what they did in the 1990s even after the Cold War had been over. They have been relentlessly trying to install new enemies for America, selected Muslim countries and groups, this time. In addition, militarism has a direct influence on the democratic process in the United States, as President Eisenhower predicted. The two political parties that alternate power in America follow the same foreign policy. More specifically, American administrations, whether Republican or Democratic, do not have an independent foreign policy for the Middle East. Rather, they blindly follow the Israeli aggressive and expansionist policies in the region. The collapse of the Soviet Union and the socialist governments of Eastern Europe, in the late 1980s, marked the end of the Cold War between the East and the West. Although the end of that undeclared war may have seemed to be good news for most nations of the world, it represented a terrible development for the beneficiaries of that era. Some of these beneficiaries were represented by military industries, oppressive regimes, and a host of people who made careers out of advocating and promoting the Cold War. These included many politicians, journalists, researchers, and defense professors. As a result, it was not surprising that these Cold War entrepreneurs would desperately try to promote a second Cold War. This time, some Muslim countries and Islamic groups are being installed as the new rival to the West. Thus, Iran, Iraq, Libya, Sudan, and Syria were reinvented throughout the 1990s by Western governments, particularly the United States, as states that support “terrorism” (Palestinian resistance). The implication is that these are the new enemies of the West. To the disappointment of Cold War II entrepreneurs, the new designated enemies did not accept the label. Iraq allowed the UN inspection teams to destroy its unconventional weapons. As a result of the embargo and the economic sanctions, Iraq not only no longer poses any threats to any of its neighbors but also is severely suffering. Iran has adopted a more friendly policy towards its neighboring Gulf states. Moreover, democratization made it more attractive to most countries, including members of the European Union. Even the United States finally recognized the positive changes and lifted major restrictions on trade with Iran, in March 2000. Libya also has changed its foreign policy towards the West when it accepted to solve the problem of the Pan-Am plane. As a result, diplomatic and trade relations were restored between Libya and most European countries. The U.S. is also moving towards that direction as an official American delegation arrived in Tripoli, in March 2000, to explore ways of improving relations with Libya. The Sudanese government has changed, as well. It has demonstrated its cooperation with the West by handing in Carlos to France for trial. The Sudanese President also rid his government of the influence of Islamic fundamentalists, in a coup-like sudden change of policy in 1999. This left Western governments no excuses to continue branding his country as anti-Western. Finally, Syria did its best to disappoint Cold War II entrepreneurs. It participated in the Gulf War on the side of the Western-led coalition against a fellow Arab country. Then, it agreed to enter the peace process, which would end in the recognition of Israel. As a result, the West cannot claim that there are rebellious governments in the Middle East. In other words, Western hegemony is complete. Consequently, it is absurd to argue that the region can qualify for the status of a new Cold War enemy. The attempt to install Islamic groups and Islamic countries as the new enemies to the West may be traced to the efforts of Cold War entrepreneurs, think tanks, and institutions like the Washington Institute for Near East Policy (WINEP) and the Council on Foreign Relations. Since its inception in 1985, the WINEP published eleven major reports (policy papers) warning its pro-Israel Western audience against the threat of Islamic groups to the security of Israel. The first of these reports targeted Islamic activism in Jordan, which was described as “the most dangerous and destabilizing force inside Jordan.” The second report warned against the role of “activist Islam” in the Palestinian Uprising. In particular, the report pointed to the cooperation between the Palestinian resistance organizations of the Islamic Jihad, Hamas, the Islamic wing inside Fatah, and other PLO factions. The report concluded that the ideology of Islamic activism focused on that there was no room for Jewish sovereignty in Muslim land. The third report accused Hizbullah of “seeking purpose and unity through confrontation with the West.” The report further pointed to the supreme goals of Hizbullah: the dissipation of Western influence and the elimination of Israel. The fourth report argued that Hamas viewed the Arab-Israeli conflict as a religious struggle between Islam and Judaism that can only be resolved by the destruction of Israel, not by peace talks. The fifth report alleged that Iran challenged the West in four areas. It had a drive to dominate the Gulf oil, confront Turkey, gain access to the Pakistani nuclear bomb, and provide support for Hamas and Hizbullah. The report recommended that “the best American response may be containment, similar to the American containment policy towards the Soviet Union during the Cold War.” The report also called for isolating Iran and weakening it economically, as economic weakness would increase the chances for containment to succeed. The sixth report focused on Iran, Iraq, Libya, and Syria, as posing a challenge to the U.S. Each of the four “radical regimes,” the report alleged, followed an agenda that conflicted with the long-term objectives of the U.S. In particular, these states were accused of seeking regional hegemony, promoting armed struggle against the Israeli occupation, which the report described as “terrorism,” and taking an antagonistic position towards the West. The report called for the continued containment and sanctions against them until they stop their hostile policies towards Israel. The seventh report warned against the danger that Algeria may pose if it becomes an Islamic republic. The report alleged that “an Islamist Algeria could adversely affect U.S. interests in the unhindered flow of oil and gas, the Arab-Israeli peace process, the security of pro-West Arab and African moderates, nonproliferation, counter terrorism, and human rights.” Therefore, the report recommended that the U.S. follow a policy of “active containment,” in case of an Islamist take over in that country. The eighth report warned against the Iranian threats, particularly unconventional weapons production capability, the capacity for subversion in the Gulf states, and support for Hizbullah. The ninth report went even wilder than any previous reports. It warned against the admission of Muslim students to the U.S., particularly those from Iran, Iraq, Libya, Sudan, and Syria. The report called for requiring “special clearance procedures” to prevent these students who are already in the U.S. from studying science and technology. Moreover, the report wanted these students to obtain visas every time they leave for their countries and come back, similar to Israeli tactics of controlling the movement of Palestinians when they leave or come back to their country. The tenth report focused on highlighting the cooperation between Islamists in the Palestinian territories and Islamists in Israel. Since the beginning of the first Uprising in December 1987, the Islamist movement inside Israel started to support the armed struggle against the Israeli occupation of the Arab territories. Thus, it strengthened its relations with the Hamas and the Islamic Jihad organizations. It also mediated between Hamas and the PLO. Moreover, it has become a source of humanitarian and economic aid to Hamas facilities. The eleventh report cautioned that the U.S. should not be enthusiastic about moderation in Iran under Khatami. The report argued that the dialogue with Iran should be conducted under sanctions. In order for Iran to have normal relations with the U.S., the report emphasized, it has to follow a moderate policy towards Israel in rhetoric and actions. Rhetorically, Khatami should stop his pronouncements against the evils of Zionism, and that American foreign policy decisions are made in Tel Aviv, not in Washington. In action, the report wanted Iran to stop seeking the production and delivery of weapons of mass destruction. Until this happens, the report called the administration to continue imposing economic sanctions on that country. Obviously, the WINEP reports aimed at portraying these Muslim states and groups as enemies to the West, generally, and to the United States in particular. In fact, none of the allegations stands a moment of scrutiny. These states supported resistance against the Israeli occupation of the Arab territories. Any conflict with the West was a result of the biased Western policies, which support the Israeli occupation. Moreover, the WINEP reports considered the security of the Israeli occupation as an interest of the West generally and the U.S. in particular. The outcome is that the WINEP has been successful in its campaign to make Islamic groups and countries seem as enemies of the West, particularly the U.S. In addition to WINEP and Foreign Affairs writers, the Cold War II enterprise was boosted by the efforts of a third group of entrepreneurs, more commonly known as “terrorism experts.” These argued throughout the 1990s that the West was threatened by Middle Eastern “terrorists.” One of these experts, Steve Emerson, was interviewed by almost all American TV stations, following the Oklahoma City explosion of 1994. During the first few hours after the explosion, he thought that he finally found evidence to support his argument. He kept repeating his view that the explosion was the work of Middle Easterners, particularly Islamic groups. Soon, he was proven wrong after the arrest of Timothy McVeigh, who admitted responsibility for the explosion. Neither Emerson nor the media that broadcast his inaccurate and extremely biased views apologized for their malicious accusations of Arab and Muslim Americans. In fact, many of these Cold War II entrepreneurs are pro-Israel activists who did everything in their power to smear Arab and Islamic groups that have resisted the Israeli occupation of the Arab territories. These “terrorism experts” did their best to divert attention from the evil action, the Israeli occupation, to the reaction of resistance. In this sense, resistance groups, such as Hamas, Jihad, and Hizbullah were branded by these “experts” as terrorist groups, just like branding the PLO before them with the same label. To the disappointment of these “experts,” Palestinian armed struggle has dramatically decreased since the 1993 PLO-Israeli agreement. Actually, the Palestinian Islamic groups of Hamas and Jihad have stopped their military activities, particularly from the Palestinian-administered territories. The Lebanese Islamic resistance organization, Hizbullah, started its armed struggle as a reaction to the Israeli occupation of South Lebanon. That struggle continued until Israelis withdrew from South Lebanon, in May 2000. Actually, during the entire period of the Israeli military occupation, it was Israelis who terrorized Lebanese civilians, not the other way around. In the final analysis, “terrorism experts” have been providing the beneficiaries of the Cold War with the fuel they need to move on to a new Cold War. They have been trying to use Islamic groups as the new threat to the West after the collapse of the Soviet Union. While they succeeded in the first half of the 1990s, they could not continue using that argument later in the decade when the peace process was moving progressively between Arabs and Israelis. However, a pattern has emerged in the behavior of these “experts.” Whenever the peace process stalled, they resurrected the Islamic threat. This means that they work in harmony with the Israeli policies. It has become apparent that Cold War entrepreneurs and their institutions have a vested interest in keeping tensions alive and well in some parts of the world. An example of this is the fact that Iraq has been under sanctions for more than a decade after the Gulf War. In the process, Cold War entrepreneurs have demonstrated that they are emotionless towards human suffering. They have neither mercy nor remorse for the suffering that the war and the embargo have caused the Iraqi people. More than a million and a half Iraqis died between 1990 and 1999, as a result of the embargo imposed on Iraq. These deaths were mainly caused by the combined effect of the vast destruction of essential goods, services, and industries together with the most comprehensive economic sanctions of modern times. The annual number of deaths of Iraqi children under age five grew more than tenfold from 1989 to 1999. Total deaths of children under age five from effects of the embargo exceeded half a million. As Huda Ammash pointed, these deaths resulted also from about 300 tons of depleted uranium, electromagnetic pollution, and the destruction of the Iraqi infrastructure during the war, together with malnutrition and lack of medical care due to the continuation of sanctions after the war. With all this suffering, members of the ruling elite in the U.S. do not seem to be moved. Thus, it seems that keeping the embargo on Iraq aims at keeping tensions in the region, which serves the interests of Cold War II entrepreneurs. The same position seems to be prevailing among the power elite in the Gulf States, particularly Kuwait and Saudi Arabia. They have demonstrated neither mercy and nor remorse towards the suffering of the Iraqis. They continue to punish the Iraqi people and hold them responsible for positions taken by the Iraqi government. This contradicts with the universal principle of justice that no one should be held responsible for actions committed by others. The coalition countries, including the United States, have maintained that they have no argument against the people of Iraq. However, this rhetoric has not been followed by actions to support it. By insisting on the continuation of the embargo, the coalition members are actually showing no mercy for the suffering Iraqis. There is no remorse for what has been happening to the innocent Iraqi children. Although Iraq has complied with all UN resolutions, including claims concerning the alleged missing Kuwaitis in Iraq, the sanctions continue. This is in violation to the UN resolution 687, which states that upon compliance, the sanctions “shall have no further force or effect. Actually, the problem of missing Kuwaitis has been resolved directly after the war. During the Safwan conference of March 3, 1991, the Saudi Commander, General Khaled Bin Sultan, emphasized the fate of about 5,000 Kuwaiti civilians who were allegedly taken to Iraq against their will. The Iraqi representative, Lieutenant General Ahmed, said that Iraq was willing to let them go back to Kuwait if that was their wish. Following the conference, about 6,500 Kuwaitis, civilians and prisoners of war, were released by Iraq. Since then, only about 600 Kuwaitis have still been missing, which means that this is no longer a real problem between Iraq and Kuwait. There is no reason for Iraq to keep them if they are still alive in the country. The Gulf war resulted in the tragedy of inter-Arab fighting. Although this was not the first time that Arabs fought against Arabs, it was the bloodiest and most destructive. During World War I, Saudis fought against Rashidites and Hashemites and got the upper hand. Mubarak Al-Sabah of Kuwait allied himself with Britain and launched attacks against Ottoman Iraq. Essentially, it was an inter-Arab fighting within a World War I context. In the 1960s, there was another inter-Arab fighting in Yemen that mainly involved Egyptians, Saudis, and Yemenis. Palestinians fought battles in Jordan and Lebanon, in the 1970s. Moreover, there were several civil wars in Algeria, Lebanon, Somalia, and Sudan during the last three decades of the 20th century. However, the scale of destruction and bloodshed inflicted on Iraq and Iraqis during the Gulf War was unprecedented in Arab history (Chapter IX). The 1991 Gulf War, therefore, is not going to be easily forgotten. Both Iraqis and Kuwaitis are bitter and they may continue to feel this way for a long time to come. Arab members of the coalition may feel guilt for the bloodshed and the destruction of Iraq. More important, the polarization of the Arab states, which preceded the crisis, has been replaced by distrust, fear, and bitterness after the war. Further, in describing the excessive killing that occurred near the Euphrates River, Bin Sultan expressed uneasy feelings towards more unnecessary bloodshed. This happened while the Iraqis were withdrawing after February 26th, 1991. The American 101st Airborne Division, known also as the "Screaming Eagles," carried out the biggest helicopter operation in history "but against an enemy that had already given up the fight," as he described. As a result, “world opinion was beginning to rebel against further killing in what was now seen as an unequal battle,” he added. On May 27, 1991 (about three months after the war), Bin Sultan wrote a letter of resignation to the King of Saudi Arabia. On September 24, 1991, the King accepted his resignation. During the four months between writing the letter and its acceptance, he traveled abroad isolating himself from everybody, including his wife and children. He confessed that he often suffered from nightmares about fighting, about death, and about the burdens he had assumed. As a result of the huge number of Iraqi deaths, burying the dead turned out to be the main task for the Arab coalition forces during the ground campaign. About 12-man Saudi Sections were attached to each American, British, or French brigade or battalion “with the express duty of giving the Iraqi dead a Muslim burial." It is amazing that no matter how much cruel humans are, they are still afraid of seeing the corpses of their victims that they kill. That is why perhaps they bury them very quickly. That has always been the case since the dawn of history. In the story of Able and Cain, sons of Adam, Cain solved his problem by burying his brother's body. Maybe this was to hide his crime, but this did not happen. The story has been told throughout history. Despite these feelings expressed by the military commander of the Arab forces, the governments of Kuwait and Saudi Arabia have not reconsidered their positions towards war victims. The Iraqi people have been suffering since the end of the war in 1991. There is no logical reason for the embargo and the economic sanctions to continue for more than a decade after the war. The two governments also have not reviewed what they have done to Palestinian and Yemeni immigrants. They have shown no remorse for the unfair expulsion of the two Arab immigrant groups. About one million Yemenis, who lived in Saudi Arabia for decades, were suddenly expelled from the country because of their government’s vote in the Arab League and the United Nations, concerning the Iraqi-Kuwaiti problem. Thus, Yemeni immigrants have been held responsible for the position of the Yemeni government, which they had no influence on, whatsoever. Although the Saudi and Yemeni governments have resumed relations and signed a border agreement, nothing happened to address the grievance of the average expelled Yemeni immigrant. Yemenis are still not allowed to return to Saudi Arabia, although these people neither threatened the security of Saudi Arabia nor participated in the fighting. A major injustice has been committed against them and has not been addressed for more than a decade after the war. Palestinians of Kuwait also remain without any recognition for their plight by the Kuwaiti government or the international community. More than 450,000 Palestinians who lived in Kuwait for decades were expelled or denied return to the country after the war. They were punished for the position taken by the Palestinian leadership in support for Iraq. Moreover, thousands of them were killed or tortured in the terror campaign that continued consecutively for more than three months after the war and less systematically for the following two years. Although the Kuwaiti perpetrators are known locally and to the outside world (Chapter X), they have not been punished or even tried for their crimes against humanity. They have killed and tortured thousands of innocent people for no other reason than being Palestinians. What happened in Kuwait was nothing short of ethnic cleansing against Palestinians. More important was that the Kuwaiti terror campaign against Palestinians, Bidoons, and many Arab immigrants was tolerated by the Arab and non-Arab coalition forces. A very striking behavior has been the avoidance of any mentioning of Kuwaiti atrocities by all of the coalition leaders, Arabs and non-Arabs alike, in what amounts to a taboo. The plight of these victims of Kuwaiti atrocities will be a continuing injustice as long as it has not been addressed. The Bush administration could not claim that it went to war to defend democracy in Arabia. When Iraq invaded Kuwait on August 2, 1990, Kuwait was an absolute monarchy. The Emir had dissolved the Parliament four years earlier because it dared to criticize the behavior of some members of the ruling family. None of the Gulf states was democratic either. Saudi Arabia has never experienced any democratic participation on all levels of government. The United Arab Emirates had a Consultative Council of appointed members whose decisions are not binding to the government. Qatar, Bahrain, and Oman were also absolute monarchies. Thus, the Western Anglo-American-French alliance actually went to the rescue of the absolute monarchies of Arabia. This is what has been missing from the political discourse in the allied countries during the crisis and after the war against Iraq. Most members of the power elite groups in the West, including politicians, journalists, and authors have been talking about the Iraqi dictatorship but ignoring absolute monarchies and absolute republics in the region. In addition, they fail to realize that capitalist class is in a dictatorial position, in the West generally, and the United States in particular. In Iraq, the president has the same powers an American president has. The Iraqi government operates according to the Provisional Constitution of 1968. In 1980, the Kurds, who constituted about 15 to 20 percent of the Iraqis, had their autonomous executive council and a 50-member legislature. The Iraqi president is also the chairman of the Revolutionary Command Council (RCC) and the Prime Minister. Parliamentarian elections are held regularly with the most recent round in March 2000. The Iraqi National Assembly is made up of 250 members who are popularly elected to 4-year terms. The evidence has shown that the Iraqi Parliament always supported the President=s decisions concerning war and peace, just like what Congress does towards policies of successive American presidents. Thus, both Iraqi and American presidents have the powers that allow them to launch wars without going back to the representatives of the people. Consequently, it would be hypocritical to criticize the powers given to Iraqi presidents while ignoring the more powers enjoyed by American presidents. The Arab members of the coalition, mainly Egypt and Syria, were not more democratic than Iraq. President Mubarak has ruled Egypt since the assassination of President Sadat, in 1980. Everytime, he ran for reelection, he was the only candidate. President Assad had also been the President of Syria since 1970. He ran unopposed in every reelection until his death, in 2000. It is true that regular elections are held in both countries. However, the ruling parties have dominated the political scene for decades because of the continuation of the same president in power. A way out of this stalemate is limiting the president’s rule to two terms. Another way out is following the parliamentarian system. In that case, the president becomes the symbol of the country, not the real ruler. The government should be run by leaders of the party or coalition of parties which have the majority in the Parliament. Several changes have been introduced, during the 1990s, marking the beginning of some popular participation in the governments of Gulf states. In 1992, King Fahd of Saudi Arabia appointed a 60-member Consultative Council (increased to 90 members, in 1997), whose decisions are not binding to the government. Kuwait has restored the Parliament but without any changes in the previous despotic system. It is still an all-male parliament. Kuwaiti women are neither allowed to vote nor run for office. As a result, Kuwaiti women and immigrants are still deprived of their political rights. Moreover, the regime got rid of about 450,000 Palestinians and about 150,000 Bidoons who would qualify for citizenship, and consequently for participation in the democratic process. This has resulted in weakening intellectuals and other members of the middle class in their bid for more democratic participation. Brighter changes have happened in Oman and Qatar. In Oman, elections were held on all government levels with men and women participating, and with several women becoming members of the Parliament. In Qatar, municipal elections were held with participation of men and women. Moreover, Qatar has adopted a liberal policy towards freedom of expression. It has permitted a satellite TV station, Al-Jazeerah, to broadcast its news and commentary programs almost without censorship. This is a new development that is unprecedented anywhere in the Arab Middle East. As a result, intellectuals from all Arab states have the arena to debate issues in a way that was unthinkable before. This is certainly going to advance the cause of democracy not only in the Arabian Peninsula but also in the rest of the Arab states. More positive changes in the march towards democracy took place in the countries that supported Iraq during the crisis. However, there is a long way to go for these countries to reach the Western standards. The 1996 parliamentarian and presidential elections in Palestine had about 86 percent participation in Gaza Strip and about 68 percent in the West Bank. President Arafat became the first Arab leader who did not run for election unopposed. The elections were open to the Palestinian political parties, which agreed to the peace process. Arafat was challenged by Samiha Khalil, who represented the left opposition. Although she received olny about 17 percent of the vote, her participation represented an important landmark in the march towards democracy in the Middle East. Yemen represented another bright development in the cause of Arab democracy. Yemenis were allowed to form their own political parties, which allowed for more people to run for elections, including the presidency. In the 1999 elections, President Salih was challenged by the chairman of the Yemeni Socialist Party. In Jordan, the monarchy has become more constitutional and passed the test of more democratization after the death of King Hussain. Jordanians have formed many political parties, which participated in elections without major restrictions. The Gulf War represented the end of the minimum Arab solidarity towards the Arab-Israeli conflict. On October 1991, the Madrid Conference was convened on Israeli conditions. The conference was used as an opening ceremony that was followed by bilateral talks, a long-sought Israeli goal. As a consequence, Israel divided Arabs into individual delegations, which made it easier to impose the Israeli conditions on them. Soon, thereafter, a peace agreement between Israel and Jordan was reached although there were no territorial demands from Jordan. The Oslo agreements led to the Palestinian autonomous rule on parts of the West Bank and Gaza Strip. However, the Israelis have been dragging their feet in completing their withdrawal from the Palestinian territories, according to the agreed upon UN Resolutions 242 and 338. The Palestinian goal of establishing a Palestinian state in the West Bank and Gaza Strip has been obstructed by the reluctance of the Israelis to observe their obligations. The May 5, 1999 deadline had passed marking the end of the transitional period, according to the Oslo agreements, without declaring the Palestinian state. Nothing happened on the ground concerning the Israeli withdrawal from the Syrian Golan territory, more than a decade after the Madrid Conference. Thus, while the Western-led coalition did not tolerate the Iraqi invasion of Kuwait for a few months, it has tolerated the Israeli occupation of the Arab territories for decades, since 1967. While Iraq was even denied the opportunity to withdraw without destruction, Israel has never been pressured to fulfill its own obligations. Agreements were renegotiated in an attempt to give Israelis better conditions, as in the case of Wye River agreement with the Netanyaho government. Even if Israel withdraws completely from the Golan Heights, lasting peace will still not be possible without justice. The Palestinian people have been suffering for more than half a century as a result of being denied the right of return to their country after the 1948 War. Without a just solution for the Palestinian refugee problem by repatriation and compensation, in accordance with the 1948 UN Resolution 194, peace and stability will be hard to achieve or maintain in the region. It is hard to believe that people are encouraged to immigrate to Israel if they are Jews and denied return to their own country if they are Christians or Muslims. For a just peace to happen, the Law of Return should be amended to allow Palestinians to return to their own homeland. Jewish settlements in the occupied territories are illegal and in violation of the international law that prohibits occupiers from changing the demographic status of the occupied territories. These settlements were built on confiscated Palestinian property. For a just solution, Israeli settlements should be evacuated and given to the returning Palestinians as compensation for using the land illegally for decades. Arab East Jerusalem was occupied by Israel together with the other Arab territories. For a just and lasting peace, Israel should withdraw from the City. Israeli settlements built within the city limits should also be given to Palestinians as compensation for using the property for decades. If Israelis insist on the continuation of the occupation of East Jerusalem, particularly Al-Aqsa Mosque and its surrounding waqf, religious property, then they insist on not attaining a lasting peace. Al-Aqsa Mosque is the third holiest Islamic shrine, after those of Makkah and Medinah. It is an Islamic duty, not only a Palestinian or an Arab duty, to liberate it from the Israeli occupation. There will be Islamic organizations in the Middle East and around the world, which will be working for the liberation of Jerusalem if governments are helpless. An Israeli withdrawal from Arab East Jerusalem will make such scenario unnecessary and will contribute to a just peace in the Middle East and around the world. Finally, the water problem should be settled wisely and fairly. It is hard to believe that the Israelis insist on denying Syria access to water from Lake Tabariya (Sea of Galilee), as a price for their withdrawal from the occupied Syrian Golan Heights. It is harder to see the American double-standard policy in international relations, which tolerates Israeli conditions for withdrawal while denying Iraq even the chance to withdraw without conditions. The Palestinian state will ultimately suffer from a water shortage problem because Israel maintains its control over 80 percent of water resources, including underground water reservoirs in the West Bank and Gaza Strip. Thus, the region may not enjoy a lasting peace without solving the water problem. If the region’s resources are utilized efficiently, several problems could be solved including the water shortage. Solar energy, if developed, could be used to distillate salt water thus providing people of the region with the badly needed fresh water. Also, water from the region’s great rivers could be carried to the areas that suffer from shortages. This is one of the major challenges for peace in the future. If properly addressed, it will reinforce peace and increase prosperity. Otherwise, it may contribute to a new cycle of hostilities in the region. Arab sovereigntists came out of the War as the victorious party. Neither Arab unity nor unification will be an issue to them for a long time to come. Moreover, the Gulf ruling families have freed themselves from the Iraqi threat to their stability. In particular, Kuwait has concluded what is equivalent to protection agreements not only with Britain, but also with France and the United States. The major blow that hit Arab unity, though, was the tragic split of unionists. 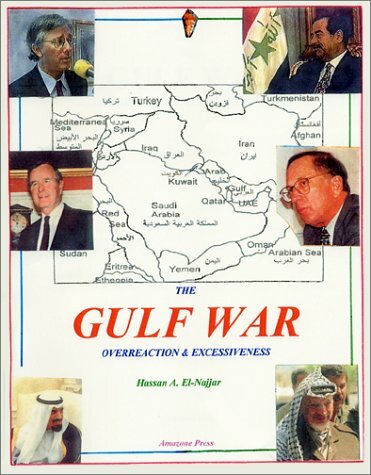 The Gulf states may argue that they went to war against Iraq because it invaded Kuwait, a member of their regional organization, the Gulf Cooperation Council. However, the participation of Egypt and Syria in the war on the side of the Gulf sovereigntists was the real blow to Arab unity. It was an illogical alliance because both are poor states whose vested interest should be in Arab unity, not in consolidating sovereignty. A decade after the Gulf War, neither Egyptian nor Syrian immigrants are treated fairly by governments of the Gulf states. It is true that Egyptian workers have replaced Palestinians in Kuwait and Yemenis in Saudi Arabia. However, they are not treated better than Palestinians and Yemenis were treated before the war. Egyptians and Syrians still cannot enter the Gulf states without visas, which are very hard to get. Even for those who could enter and find work, they are still denied any immigration statuses. They are treated as temporary workers without any rights for permanent residence or citizenship no matter how long they stay in Kuwait or any other GCC state. Thus, the Gulf War has strengthened the resolve of the Gulf states to keep themselves away from the rest of Arabs, even from those who helped save them. In the final analysis, the sovereigntist camp has been strengthened and the unionist camp has been weakened. It is hard to find any Arab intellectual, journalist, or politician who speaks strongly for Arab unity any more. In spite of the disastrous consequences of the Gulf War on the majority of Arabs, Arab unity is still necessary. During the 21st century, oil will be scarce and consequently more important for the world. If the small and divided Arab states do not unite, they may be overrun by those whose lives depend on oil. So, Arab unity is necessary to protect the independence of the oil-exporting states. It is also necessary for a fair redistribution of the oil wealth. More important, it is the right of Arabs to live in a unified homeland, like other nations of the world. Successful Arab unification may develop in several forms of regional groupings, or unions. These unions may start as economic markets that allow labor and capital to move freely between Arab states. Travel and residence restrictions should be gradually dismantled allowing Arabs to move freely and work anywhere in the Arab homeland. This is the more practical alternative to the political unions attempted by political leaders in the past. However, democracy cannot wait until a form of an Arab economic market is achieved. Actually, it can speed up liberalization in labor and capital movement, which would lead to one form or another of a common market. In addition, democracy is a guarantor of political stability as it allows for a peaceful alternation of power. It also allows people to achieve their full potential through their creativity and hard work. For this to be achieved, Arabs should continue their struggle to get their basic civil rights and freedoms of assembly, expression, travel and work anywhere in their homeland. In particular, they should struggle to have the right to change their governments through direct elections. This is not impossible, because most nations have achieved some form or another of democratic participation. The devastating Gulf War presented the world with a number of lessons that have to be learned for a better future. First, Iraq underestimated the importance which the Western powers attached to Kuwait and to the political status quo in the Gulf. The 1961 precedent should have been taken as an example of how Western powers would react. At that time, the Iraqi President, Abdul Karim Qassem, was preparing to annex Kuwait to Iraq following the British withdrawal. However, Britain rushed in with troops and prevented the annexation from happening. The British force was soon replaced by a combined Arab League force under the command of a Saudi officer. That was a dress rehearsal for 1991 war, which represented a determination from the Western-led coalition to prevent Iraq from extending its influence over the Gulf region. Second, the Gulf states never realized the damage they caused Iraq as a result of their oil production policies. They did not realize the bitter sense of grievance and the acute shortage of funds the Iraqis were suffering. To a great extent, the genuine reason of insecurity in the Gulf may be attributed to the huge distance between the "haves" and the "have-nots" in the Middle East. This distance led the Gulf states to ignore the grievances of their Arab brothers, including Iraq. The Gulf states have become insensitive towards the needs and conditions of the rest of the Arab nation. They have ignored the fact that they belong to the same Arab nation. Further, they even started developing their "Gulfer" identity, thus drifting away from the Arab identity. Third, the Gulf War represented a direct competition for control over the world’s major source of finite energy, oil. It is a perfect example of fighting a war bluntly for economic reasons. It resulted in confirming that the Gulf will be controlled by the United States, Britain, and France for the foreseeable future, until the emergence of other contestants. As a finite resource of energy, oil will be expected to become more expensive throughout the 21st century. This means that those powers, which control it, will continue to make enormous amounts of profits and will exert considerable influence on other countries, as a result. Fourth, for the Arab nation, the war represented a very sad story, the consequences of which will be present for a long time. The unification of the Arab homeland is much farther away after the war than at any time in the past. The present generation of Arabs is dramatically double-divided. The first real division is between the minority "haves" and the majority “have-nots.” This division has not only continued but also increased. The second division is among the poor majority, which is falsely divided as radicals and moderates. This double-division has fatally weakened the notions of Arab nationalism and Arab unification. Actually, many Arab nationalists have already admitted that fact. Libyans for example, in an expression of bitterness at the behavior of Arab governments towards them during the embargo of the 1990s, are now looking south to Africa for solidarity. Fifth, Israel has become a reality, recognized by the ruling elite classes in the region. Israeli economic opportunities are tremendous and beyond the wildest dreams of Israelis. The region is a huge market of more than 250 million people who import most of what they consume. It is also the main source of energy for the world and consequently an important source of surplus capital. Sixth, the Palestinian problem has regained its importance though it has not been resolved yet. The steadfastness of the Palestinian people and Saddam's missiles destroyed the myth of Israel's "invincibility." In addition, the active participation of the Western powers to end the Iraqi invasion of Kuwait made it hard for the Arab and non-Arab members of the coalition to run away from the responsibility of addressing the problem of the Israeli occupation of the Arab territories. In a way, they had to address the other side of the "linkage" issue. The second Palestinian Uprising, which started on September 28, 2000, had demonstrated that the Palestinian people have not been tricked by the endless “peace process.” After nine years of continuous negotiations, Palestinians came to realize that Israelis were not sincere about peace. They did not want to allow Palestinians to have a sovereign state of their own. Instead, they offered a non-contiguous entity where Palestinian towns and cities would be separated from each other by Israeli settlements. Israel also insisted on that the Palestinian state be without borders with its two neighboring Arab states, Egypt and Jordan. In addition, Israel refused to observe the UN resolutions concerning withdrawal from Jerusalem and the return and compensation of refugees. Finally, the Israelis insisted on keeping about 80 percent of water resources in the Palestinian territories in their hands through keeping Israeli settlements in the Palestinian areas. The Israeli refusal to solve these permanent-status issues, in accordance with the UN resolutions agreed upon in the 1991 Madrid Conference (namely 242 and 338), forced Palestinians to face the inevitable reality that they would not gain independence by negotiations. That is why Palestinian civilians took to the streets in mass protests against the brutal Israeli occupation and the process of endless negotiations. The second Palestinian Intifadha has been met with harsher Israeli tactics and excessive use of force against protestors. The world has been watching silently ever since, through the lenses of TV cameras but without exerting any pressure whatsoever on Israel to stop the bloodshed or withdraw from the Palestinian territories. The reaction of American politicians represented even a more sad reality. Politicians from both the Democratic and Republican parties have competed for expressing their utmost support for Israel, and placing the blame on Palestinian victims. Seventh, Islamic fundamentalism had emerged as the main contestant that confronts Arab governments after the devastating blow the war dealt to the Arab nationalist movement, which was the major contestant before the war. Democratic reforms have been introduced as Arab governments wanted to prevent a total Islamic takeover, similar to that of Iran. Islamist political groups can no longer be ignored in the vast majority of Arab states. Finally, the Arab Gulf ruling families have become so strong that they are no longer easily challenged by local or regional powers. They have demonstrated that they are determined to enhance their interests even if this requires collaboration with the world powers to destroy other neighbors. The Gulf War resulted in direct Western military occupation of the Arab homeland, which poses a challenge not only to opposition groups but to Arab governments, as well. It was striking to observe that military, political, and media leaders in the United States and other coalition countries boasting that the war cost them few casualties. They ignored the fact that hundreds of thousands of Iraqis were killed during the war and hundreds of thousands more as a result of the embargo, about half a million Palestinians were forced out of Kuwait, and about one million Yemenis were forced to leave Saudi Arabia. These Arab victims of the war are also important. Their lost lives, lost jobs, and their suffering have also affected their loved-ones forever. A new thinking needs to emerge. Leaders should not be allowed to launch wars without consulting with representatives of the people. When wars are launched, leaders who launch them should be held responsible for the social consequences, particularly civilian losses. Because the circumstances that led to the Gulf War still exist in America and Arabia, the author wishes to present his dreams for a better future for America and Arabia, following the example of Martin Luther King Jr.
· I dream that, one day, the influence of war hawks on American foreign policy is removed, so that the embargo on Iraq can be lifted, and the Palestinian state can be established without further suffering among Palestinians and Iraqis. · I dream that, one day, the American foreign policy be guided by fairness and by spreading freedom and democracy, not siding with aggressors, dictators, and absolute monarchs. · I dream that, one day, America will lead the world by example, not by the power of its weapons. · I dream that, one day, the influence of pro-Israel “experts” and bureaucrats in various government departments and agencies be checked by appointing an equal number of Arab-Americans and Muslim-Americans as their counterparts. · I dream that, one day, the influence of the military-industry complex on American foreign policy be reduced so that more funds can be directed to raise the standard of living of the poor in America. · I dream that, one day, American politicians running for office will be able to debate issues using equal time and space in the media without having to worry about how to finance their campaigns. · Finally, I dream that, one day, America will have a ruling elite whose members value the life of all people equally, whether they are from the northern hemisphere or the southern hemisphere, whether they are rich or poor. · I dream that, one day, Arabs can travel anywhere within their homeland without visas and can stay in any Arab state permanently if they wish. · I dream that, one day, border posts between Arab states be dismantled or sold to entrepreneurs who would convert them into restaurants, resorts, or museums. · I dream that, one day, there will be one Arab citizenship so that there will be no more discrimination among Arabs. · I dream that, one day, all Arabs will enjoy the right to change their governments through the ballot box, not by military coups or civil wars. · I dream that, one day, all Arab presidents, kings, and leaders become symbols of their states, allowing the people to elect their own governments through fair and free elections. · I dream that, one day, inter-Arab rivalries and conflicts are replaced with unification of the entire Arab homeland in one political and economic entity, like the United States or the European Union. · Finally, I dream that, one day, Kuwaiti war criminals are tried, so that the souls of their Palestinian and other Arab victims rest in peace. MILITARY SPENDING IN THE U.S. Source: U.S. Department of State. 1998. Bureau of the Public Debt. Updated March 20, 2000. * By March 20, 2000. More details of the story are in verses 28-32 of the same chapter (Alma’ida). The previous six direct Arab-Israeli wars were fought in 1948, 1956, 1967, 1973, 1978, and 1982. Israel started all of them except the 1973 War. Because of the unlimited support Israel has received from the West generally, and the U.S. in particular, it has been able to launch and win these wars. Israeli leaders were so confident that their dream of a greater Israel was about to become true. The Likude government issued a coin in the 1980s that shows a map of that greater Israel, as an evidence of its expansionist and aggressive policies. The map extends the borders of Israel from the Nile (Egypt) in the West till the Euphrates (Iraq) in the East. It also extends them from the Turkish border with Syria in the North till the city of Medina in Saudi Arabia, in the south, as seen in this picture. Center for Defense Information (2000). Statistics for previous years can be found in Chapter V.
 In 1997, there were 30.3 million people in Canada, 58.6 millions in France, 82.1 millions in Germany, 57.5 millions in Italy, 125.7 millions in Japan, 147.3 millions in Russia, 58.8 millions in the U.K., and 267.9 millions in the U.S. (U.S. Department of State, 1998). U.S. Department of State, 1998. It is true that most members of Congress are usually more hawkish than the President and his aids because of their affiliation with the military-industry complex. However, they may oppose war at certain times. The 1991 Senate vote on the Gulf War was so close that the administration had to lobby heavily to get the support it needed. Pro-Israel Senators made the difference. In the mid-1980s, the predominantly Democratic Congress prevented the Reagan administration from getting involved in a war in Nicaragua, which led to the secret operation known as the Iran-Contra scandal (Chapter V). For details concerning financial support for candidates, that may explain the pro-war attitude that dominates the White House and the Congress, see Lewis (2000; 1998). U.S. Department of State: Human Rights Annual Reports (1991-1999). Carlos is a Latin American revolutionary who joined the ranks of the Popular Front for the Liberation of Palestine, during the armed struggle to end the Israeli occupation. He was wanted by several European countries. He took refuge in the Sudan in the 1990s. In a video-taped lecture, responding to “the Clash of Civilizations” absurdity, Edward Said mentions that Lewis is much listened to at the Council of Foreign Relations and its Journal of Foreign Affairs, where Huntington published his 1993 article. The objective is to influence policy makers to drift toward the idea, in order to extend the mindset of the Cold War into a different time and for a new audience (Said, 1997). The major TV networks participated in that efforts. Ted Kople based his show that night on the assumption that it was a Middle Eastern work. ABC reporters, in particular, were fast in linking it to the Middle Eastern groups. During a 2000 CNN show dedicated to the bomb anniversary, Larry King Live, Dan Rather admitted that the media was fast in accusing Middle Easterners as responsible for the explosion. The Holy Qur’an mentions that universal principle of justice in Chapter 17 (Al-Isra), Verse 14, which states: “ولا تزر وازرة وزر أخرى”. For more details, see (17: 13-15) and Chapter 53 (Al-Nejm), Verse 38. In March 1997, the Secretary of State, Madeleine Albright said that: “We do not agree with the nations who argue that if Iraq complies with its obligations concerning weapons of mass destruction, sanctions will be lifted.” President Clinton echoed saying that “sanctions will be there until the end of time, or as long as he (Saddam Hussain) lasts” (Aruri, 2000: 27). Bin Sultan (1995: 220, 362). The Oslo agreement led to the Israeli withdrawal from only about 27 percent of the West Bank and Gaza. For more details about the shortcomings of the Oslo agreement, see Farsoun and Zacharia (1997: 256-270). Farsoun and Zacharia (1997: 267). “Gulfer” is a literal translation of how they describe themselves in order to be distinguished from other Arabs.